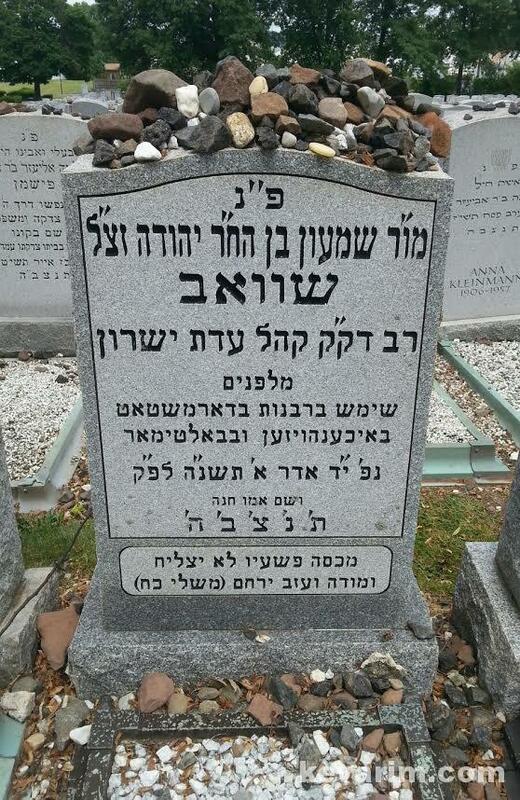 Rav Shimon Schwab was born and grew up in Frankfurt am Main, Germany. His father was a longstanding members of the Israelitische Religionsgesellschaft (IRG), the Orthodox Jewish community that had established its own independence from the Reform Judaism-dominated general community. The IRG had been led until 1888 by Rav Samson Raphael Hirsch and was then under the leadership of his son-in-law Rav Solomon Breuer. Rav Shimon completed the Realschule, the local school that combined religious studies and general subjects in conformation with the Torah im Derech Eretz ideology propagated by Rav Hirsch. After the Realschule he was a full time student for a number of years in the Torah Lehranstalt, the local yeshiva founded by Rav Breuer. 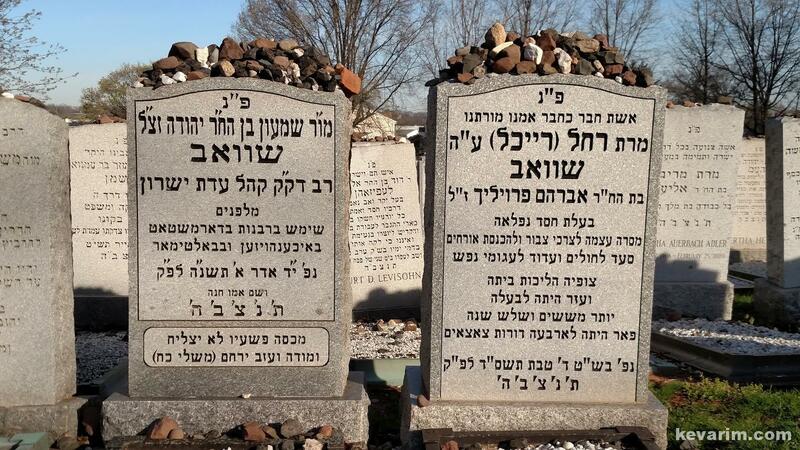 In 1924, at age 16, Rav Shimon enrolled in the yeshiva of Telshe where he studied intensively for three years, and afterwards for two years in the Mir, both in Lithuania. In 1930, he spent a weekend with Rav Yisroel Meir Kagan (the Chofetz Chaim). The visit made a strong impression on him, and he would often refer to the encounter in public speeches throughout his life. After receiving semicha (rabbinic ordination), Rav Schwab relocated to Germany, where he married Recha Froehlich of Gelsenkirchen, and worked for two years as Rabbinatsassessor (assistant rabbi) in Darmstadt before accepting the post of community rabbi in Ichenhausen, Bavaria. In Ichenhausen, Rav Schwab worked to establish a traditional yeshiva that would teach Mishnah and Talmud. He also published a booklet titled Heimkehr ins Judentum (Coming Home to Judaism, published in 1934) exhorting his Jewish contemporaries to devote more time to in-depth Torah study and abandon their fascination with modern culture and social progress. Soon after its establishment, the Yeshiva ran into trouble as threats were made by local Nazi activists. Soon after, through the American Orthodox leader Rabbi Dr. Leo Jung he got in touch with a community called She’erith Yisrael in Baltimore. He travelled to the United States, and after a trial period the community elected him as a rabbi. The family was therefore able to apply for visas and escape the Holocaust. In Baltimore, Rav Schwab became a local leader of Orthodoxy, hosting the annual conference of Agudath Israel several years after his arrival. He was involved in the first Jewish school for girls, Bais Yaakov, and traveled to San Francisco in the late 1940s to act as a lobbyist during the early activities of the United Nations. In 1958, Rav Schwab was invited to join Rav Joseph Breuer in the leadership of the German-Jewish community of Washington Heights, located in New York City. This community, widely regarded as the spiritual continuation of the pre-War Frankfurt kehilla (community), had been close to the Rav’s heart, and with Rav Breuer’s increasing age and infirmity he took on many leadership roles until the latter’s passing in 1980. From then until in passing at the age of 86 he continued to lecture and teach until his health deteriorated. He was succeeded after his death by Rav Zechariah Gelley, the Sunderland (England) Rosh Yeshivah who had already joined the kehilla several years earlier (Elul of 1987) as Av Beth Din and Mara D’asra. 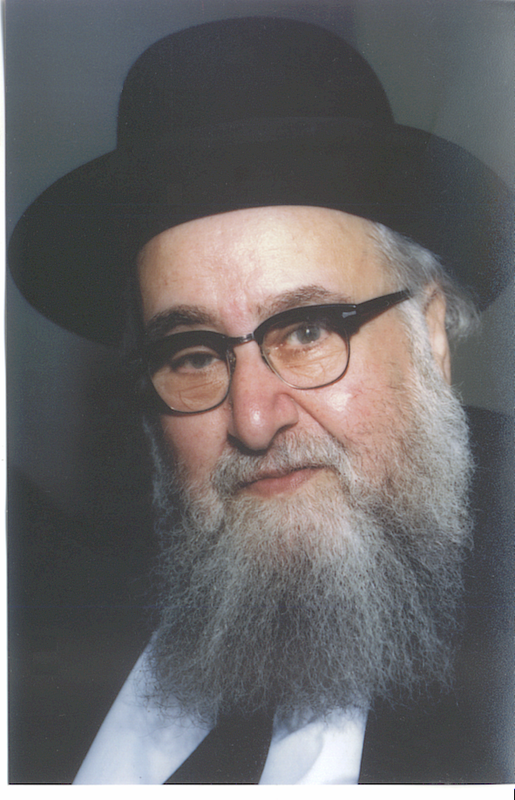 Rav Schwab, being a product of both the German Torah im Derech Eretz movement and the Eastern-European yeshiva world, initially identified strongly with the latter. During the 1960s, however, it became apparent to him that the continued emphasis on religious studies and downplay of secular education would be harmful to the community as a whole. He thus wrote his pamphlet “These and Those”, in which he champions the Torah im Derech Eretz approach as being equally valid. (The title of the pamphlet is a quote from the Talmud – Eilu va’Eilu are the words of a Living God”, emphasizing that both approaches are divinely sanctioned.) Other points often discussed in his work the independence of Orthodoxy and the perceived materialistic excesses and expenses of the modern world, especially at weddings. He did not shirk from difficult and potentially controversial questions, such as those concerning the Jewish view on the age of the universe and problems in harmonizing a 165-year gap in traditional Jewish history with scientifically accepted calculations. 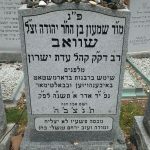 Rav Schwab has a lot of descendance living in the 5 towns. He has a son in Monsey. rav schab’s comentary on iov is amazing. i was hoping he had written something on daniel. its an extremely hard sapher to understand. i didnt realized he is nifter. can you recommend a daniel with a similar excelent commentary? please get back to me. my email is lightninjack0@aol.com with the 0 on the end being the number Zero not the letter. What’s the reason for the pasuk in Mishlei on the kever?? anyone know? 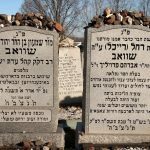 once in the king solomon cemetary – how does one find R Schwab? Enter main entrance from Dwasline, go around Cirlce and proceed further into cemetary (further from Dwasline. Right on Akiba. KAJ area is last section on left of Akiba. Kever and R Breur as well face Akiba at front of the section. Easy to find, the section is more full (can see that in Google maps) and his kever has many stones placed on the matzeva.